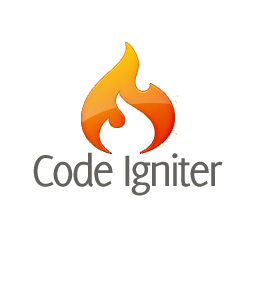 After spending much time in OOP PHP (Object Oriented PHP) and choosing Codeigniter as my first PHP framework, I decided to start working with Zend Framwork which is said to be less lightweight but seems to be a well-documented and universal reference. 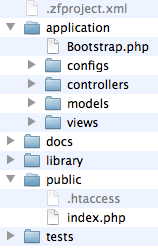 So all my PHP projects are stored in /Users/my_name/Sites/. That’s the directory in which I’ll set up ZF. First download ZF from http://framework.zend.com/download/latest or follow the “Download Now” link from the homepage. I chose the Zend Framework 1.11.11 Full package for download. Unzip it and copy the uncompressed ZF directory to your local web server : /Users/my_name/Sites/ZF/ in my case. The only directory that should be reachable from an internet client is the public directory. Therefore, we will create a Virtual Host. It is possible to reach the site through the url http://my_zend:8888. I personnally use http://my_zend.local:8888 as a virtualhost in order not to mix local websites with internet websites. Then press [CTRL + o] to save the changes. Have a look at the source code : the <html>, <head> and <body> tags are missing. We’ll activate layout in ZF in order to be able to add the missing tags to all our pages. 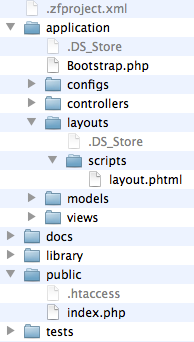 The file /application/configs/application.ini has also been changed to point the layout directory. The source code of the generated Html pages contains all the necessary tags. ZF core libraries are to be found in the downloaded /ZF/library/Zend/. Simply copy the Zend directory and copy it in your project : /Users/my_name/Sites/library/ so that it contains the zend directory.